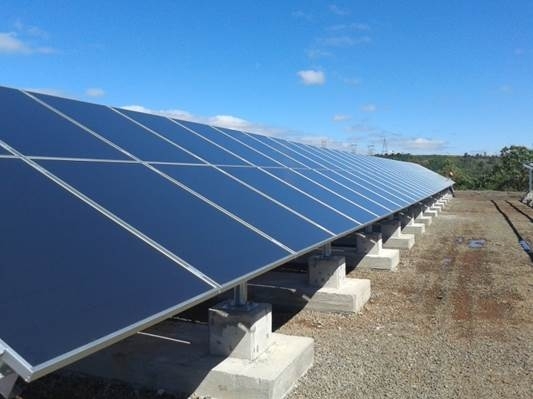 This project funded by the Brazilian utility Tractebel Energia was to test a set of 7 different technology and engineering options for the production of photovoltaic electricity, in a set of 8 different locations in Brazil. The locations chosen sample the different climates and environmental conditions in the country’s territory. 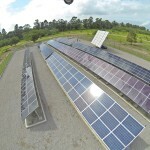 HCPV was one of the chosen technology options, and BSQ supplied all 8 x 13.44kW systems. Ultimately the purpose of the project has been to study the performance of these different technologies to assess the possibility of future deployments based on the best fit options found. Regarding the potential of HCPV in Brazil, it must be taken into account that 25% of the country has higher DNI (Direct Normal Radiation which is the one used by HCPV) than global irradiation on an optimally tilted plane, this being the one used by today’s standard PV installations. Tractebel Energia (BM&F Bovespa: TBLE3) is a major Brazilian utility company, headquartered in Florianópolis, Santa Catarina. 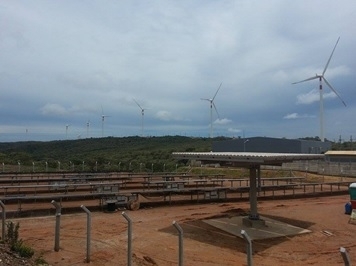 It is the largest private electricity producer in Brazil. With 11 plants, six of them hydroelectric and the rest thermal, they have an installed capacity of 6,977 MW in operations and have a total installed capacity of around 9,000 MW. Tractebel Energia’s major shareholder is GDF Suez S.A., the Paris-based utility company, via its Suez-Tractebel unit.